I noticed today when I was debriefing with a parent and child that I have a lot of catch phrases. Seriously, there are so many. Being both a parent and a teacher, I end up saying them so many times a day that I hardly even think before the words are out of my mouth. The phrases are generally short and to the point; they are reminders and models for the kids to practice socially appropriate interactions. Especially with younger children and at the beginning of the school year, the number of times I repeat the phrases per day tends to be higher. As the year goes on, with increasing maturity and emerging independence, I find myself saying these things much more infrequently. The phrases are, in essence, a form of scaffolding. With research indicating that executive functioning plays a major role in children’s successes in school and later life, these phrases, which may seem silly and repetitive to adults, are simple ways to help students develop appropriate social behaviors and executive functioning skills (which are intertwined). The following phrases support our young learners as the begin the life-long practice of engaging with others. One more thing before I give you the list! I don’t just start using these out of the blue. At the beginning of the year (or whenever I first have a need to use these phrases), they are part of a longer conversation. As time goes by, the phrases stand alone. By the end of the year, I can usually just say, “What do you think I’m about to say?” and the kids already know! How can we solve that problem? This phrase is used when someone makes a statement such as, “I have paint on my hands,” or, “I can’t find the dinosaur.” I ask them this to remind them to ask for what they need and think about solutions. Any good children’s fiction book can be used to support this problem-solving mentality by asking open-ended questions during the read aloud process. Is there a better way to get what you need? This phrase is used when someone snatches a toy from someone else, throws a tantrum, or is extremely whiny. We talk about asking to use the toy or negotiating a trade and I teach students to use timers as a sharing strategy. We also talk about how being polite and friendly and treating people respectfully is helpful when you’re trying to get something from someone else. A beautiful book that goes along with this phrase is The Golden Rule by Ilene Cooper. What can you do when you’re angry? This one is pretty self-explanatory. Kids get mad. It’s a part of life because people get mad. It’s a completely acceptable emotion and kids shouldn’t be told that it’s wrong to be angry…they should just be taught how to express their anger appropriately. We have a pillow area for reading that we’ve designated as a good spot to go if people are angry. We talk about telling our friends that we’re angry and why and telling them what we need (time alone, an apology, help, someone to talk to about the problem, etc.). One key thing we talk about is that taking a break when you’re angry is not a time-out, it’s about taking care of ourselves to that we can be safe. Books related to this phrase include I Was So Mad by Mercer Meyer and Sometimes I’m Bombaloo by Rachel Vail. Tell him/her that. This is for my tattlers (more on tattling vs. telling later). I encourage them to talk directly to their peers about the problem, tell their peers how that problem made them feel, and what they think would help. It’s a basic introduction to Nonviolent Communication and pairs well with The Peace Rose by Alicia Jewel. 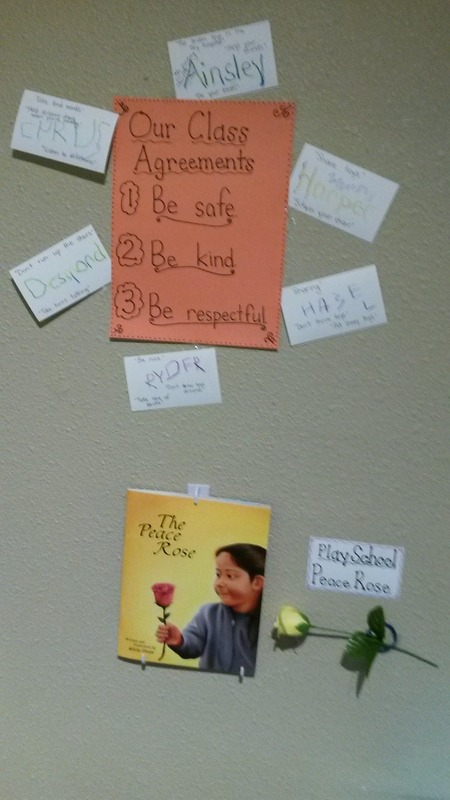 Below is a picture of our classroom’s Peace Rose. It slides in and out of a ring attached to the wall and students can use it when they’re approaching a friend with a problem. Hands are for helping. This is a simple reminder that hands should be used for helping each other, not hurting each other. Related books include Hands Are Not For Hitting by Martine Agassi, Ph.D., and illustrated by Marieka Heinlen and These Hands by Hope Lynne Price. Take care of your space. This is a reminder about cleaning up after ourselves, taking care of our classroom environment, and making sure things are put away, clean, and safe to use. We talk about what could happen if we leave toys on the floor (someone could trip and fall; someone could crunch a toy; someone could slip; the toys could get kicked under a shelf) and how we’d feel if those things happened. 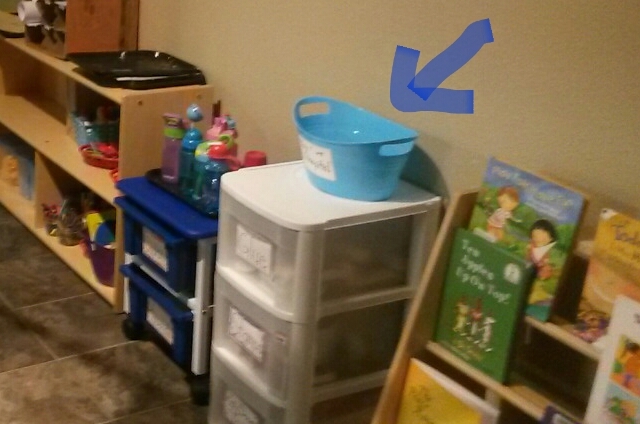 Below is a picture of our Toy Hospital, a place for students to put books or toys that need repair. Our doll received 9 stitches and was deemed completely healed last week! Some books about cleaning up messes are Weagol’s Big Mess by Jotam D. Torres and Clean Your Room, Harvey Moon! by Pat Cummings. It’s not that serious. This phrase is often combined with Are your feelings the right size for this problem?. Sometimes, occasionally, once in a while…kids overreact. These two phrases help kids remember that even though a problem seems really big (spilled water or a missing toy), it’s really not that serious and can be resolved. We talk about making sure our feelings are the right size–they might be too big (overreacting) or too small (dismissing). We talk about making sure our feelings, especially when they’re too big, are about the current problem and not a result of something that happened at home or on a different day, being hungry, being tired, not feeling well, etc. Books about feelings include The Way I Feel by Janan Cain, When Sophie Gets Angry, Really, Really Angry by Molly Bang, and Mean Soup by Betsy Everitt. A classic about problems seeming bigger than they are is Alexander and the Terrible, Horrible, No Good, Very Bad Day by Judith Viorst. 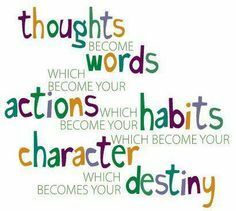 I feel __(emotion)__ when you __(action)__ because __(explanation)__. More than any of the other phrases, this is meant as a model for students about using I-statements and communicating effectively, accurately, and non-judgmentally. Additionally, it allows me to model how I express my emotional needs by adding a request. Here’s an example: I feel worried when you lean your chair back because I have seen kids fall and get hurt like that. I need you to keep your chair flat so you can be safe. Can you help me not feel worried?